Kalypso’s innovative cycling itineraries take you off the beaten track for an upclose and personal experience of indigenous cultures, spell- binding landscapes and food in India and Sri Lanka. Experience great scenery, indigenous culture and local cuisine with Kalypso's trekking and walking holidays in India & Sri Lanka, ideal for individuals and groups looking for fully guided independent trekking tours. Our tour leaders are undoubtedly the best in the country; they are the winds beneath our wings! Cheers to them! 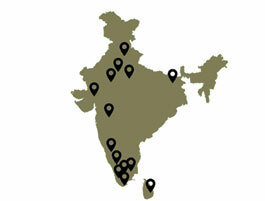 Destinations in the Indian Subcontinent are distinctive. Explore the indigenous communities, varied cultures and ecosystems on an organic level. 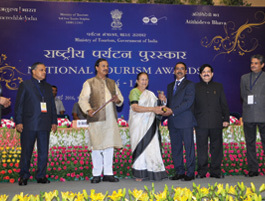 It makes us equally happy & honoured when 16 years of our commitment to excellence is recognised and lauded. Schools looking beyond mere academics will realise that our tailor-made programmes are a perfect spring board for broadening young minds. Over 3 back to back groups with an average group size of 95 PAX, covering 400 kilometres through the deserts of Rajasthan is the biggest cycling charity event in the country. We are proud to be part of the event as the event handler by providing a fully supported cycling challenge for over 350 women from UK. From welcoming the group from Delhi, we took care of the transportation, provided multi geared performance bikes, camping in the desert and heritage palaces to a celebratory dinner at Jaipur with the traditional celebration. This would have been impossible without the support of the best mechanics in the country, our experienced team of cycling guides, marshalling team, housekeeping team and event managers. British Adventurer Conrad Birch and his ROARRallies Team partnered with Kalypso to realise their dream of driving vintage cars through the ‘Great Arc’ longitude followed by Sir George Everest in early 1800s to survey the Indian sub-continent. Driving from Kanyakumari at the southern tip to Mussoorie in the foot hills of Himalayas through the logistically difficult interiors of the country required mammoth organisational support all through, and camping at various locations enroute. 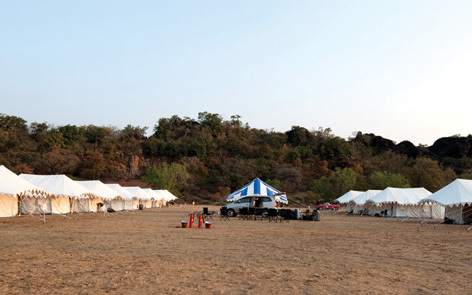 “The best mobile camp in the world” said Conrad Birch, speaking of the Cottage tented camps, set up in the middle of nowhere, with flush toilets, hot water, electricity, washer man, barber, and a sit down fine-dining set up, shifted across and set up perfectly at a distance of 600 km in less than 48 hours! 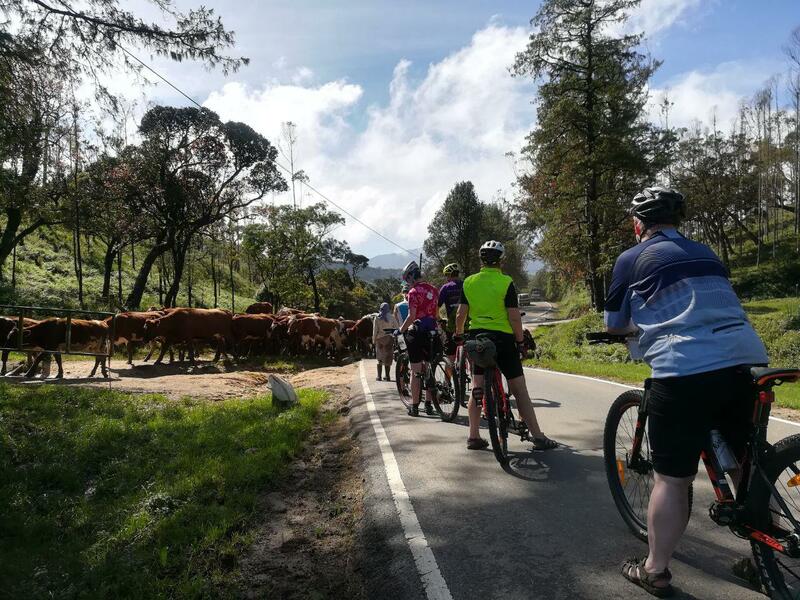 Norwood, two centuries old British charity with the patronage of Her Majesty the Queen, chose Kalypso Adventures to run a cycling challenge through picturesque Kerala. Two back to back challenges of 90 cyclists each, riding through undulated ghat roads, culturally rich villages and along beaches, rubber plantations and cardamom plantations, totalling a distance of 450 km in 5 days through the most densely populated state of India, was a mega event of a life time. “This was the best ride we ever had”, mentioned Judith Barnett, Norwood’s representative, while speaking of the faultless administrative and logistics machinery run by the ever smiling and omnipresent Kalypso Team. 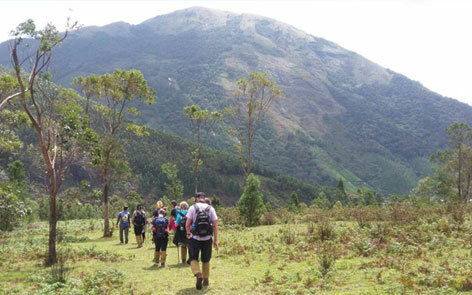 100 Students from across the globe participated in a 7 day Multi Activity Challenge with us at the Munnar Hill Station. We organized a Multi Activity Challenge by splitting the groups into 5 teams and positioning them at different destinations. 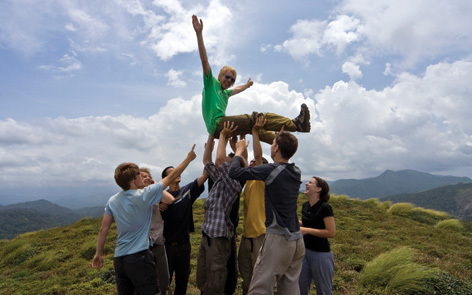 Each participant had to trek from one location to the other, make shelter, camp overnight, make bamboo raft and cross a lake, cycle to the next destination, kayak across the river and reach a summit to complete the challenge. Considering that these were students, we had a risk assessment plan, a CASEVAC team and experience trek leaders leading them through the challenging terrain. Or in this case, we are ready to take on many challenges - at the same time. We were able to pull off fully supporting 3 cycling challenges happening simultaneously in Kerala. During a period from 26 Oct 2017 to 5 Nov 2017, we ensured complete and quality logistics support to three challenge teams from UK, who cycled parallelly on three different routes, touching varied destinations in Kerala. It saw us oversee a team of Marshals for directing the teams on road, providing the lead vehicle, ensuring hot lunches enroute, smooth transfer of the teams’ luggage, providing the right sized cycles to list a few aspects we ensured. We partnered with Classic Tours and the ever enthusiastic group of 45, called the Truants, enjoyed their challenge with us in Kerala, as they raised funds for the Teenage Cancer Trust. We brilliantly helped Charity Challenge- UK, conduct their challenge to raise funds for Care for Kids. 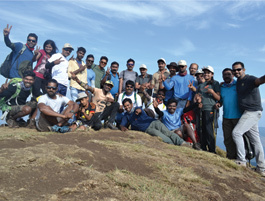 Their week long challenge through Munnar, Periyar and Alleppey saw 33 challengers push themselves for a worthy cause. 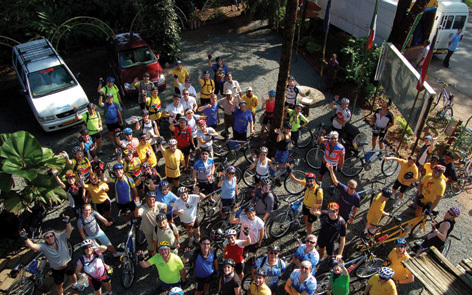 And finally 23 cyclists rode for Norwood, UK who made their way through Munnar, Kumarakkom and Kollam. Suffice to say that Team Kalypso delivered on all counts during the eventful 10 days by ensuring quality logistic support to the 100 odd challengers. Multitasking at its best thanks to a ‘ready – for – any - challenge’ - team Kalypso! A Vegan Cycle Tour of India - it's all about animal love!! ???? ????... When the vegans came to India to cycle and spread their idea of love, compassion and respect for animals, India embraced them throughout their 5 days and 400 kilometers of not-so-perfect roads with her sun-drenched little towns and villages, yellow mustard fields, vast dried-up river beds, distant hills and roadside vendors. 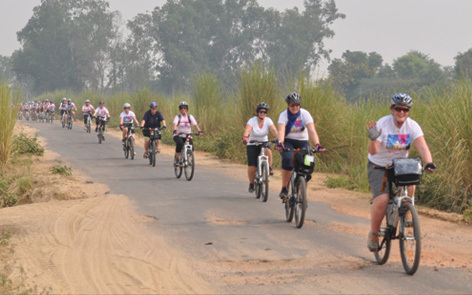 The Vegan Cycle Tour of North India was a unique experience that Kalypso was privileged to be part of. We accept that completing this mission of love that involved hard work, tough terrains, unfamiliar cuisines and trying weather in a foreign land was a challenge of huge proportions. At the end of it, dear Veganuary, we acknowledge your sheer grit and determination to see the task to its completion, the passion for the cause of Veganism, the satisfaction at having contributed to it, the practical reality of the money you raised for the conservation of 25000 land-farmed animals, the cause dear to your hearts, the purpose of the cycling tour. We at Kalypso take off our hats to you!! 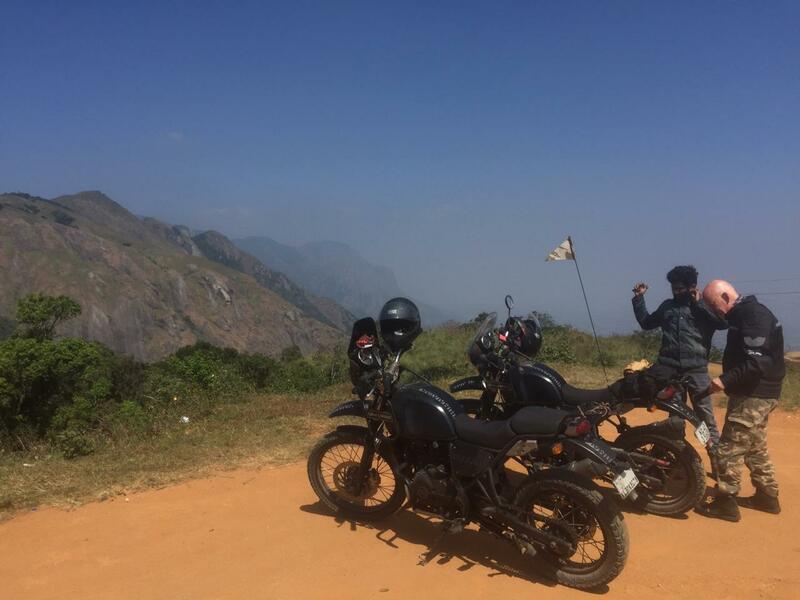 Adventure is… riding a bullet! 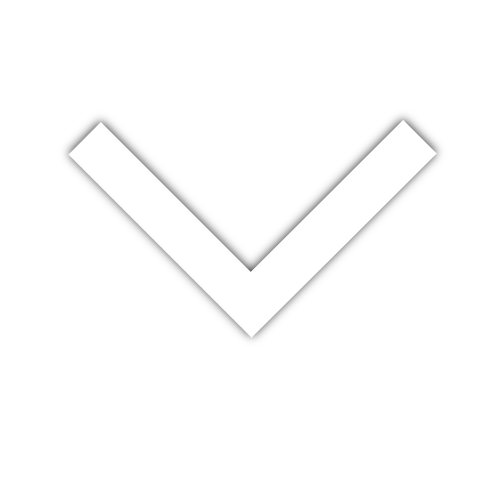 Sign in for latest updates and offers!